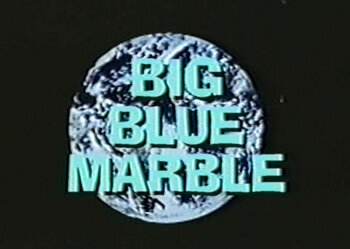 The PBS series The Big Blue Marble was very popular in my elementary school years. This program was ground breaking in presenting environmental (and social) concepts to children around the world including the interconnectivity of all natural systems to one another. Based on recent actions, we are confused if Albemarle County considers itself part of the world’s larger interconnected ecosystem or an independent environment. Despite our recent post [Snow White and Albemarle’s Stream Health Incentives] highlighting the fact that currently no such nutrient credit bank exists in Albemarle County, staff contends this concept of “Albemarle Specific” Credits were critically important to the environmental community. With this understanding we were perplexed by Allison Wrabel’s front page Daily Progress article [$5M in pipeline funds to support new Albemarle park] . Philosophically, the existence of the federally approved mitigation offer ignoring geographic specifics and Albemarle’s acceptance of such funds indicate an understanding and acknowledgement of natural interdependence. The Free Enterprise Forum believes intellectual integrity requires that Albemarle County drop its isolationist environmental stream health demands and join with the rest of the world on our journey through space on our shared Big Blue Marble.